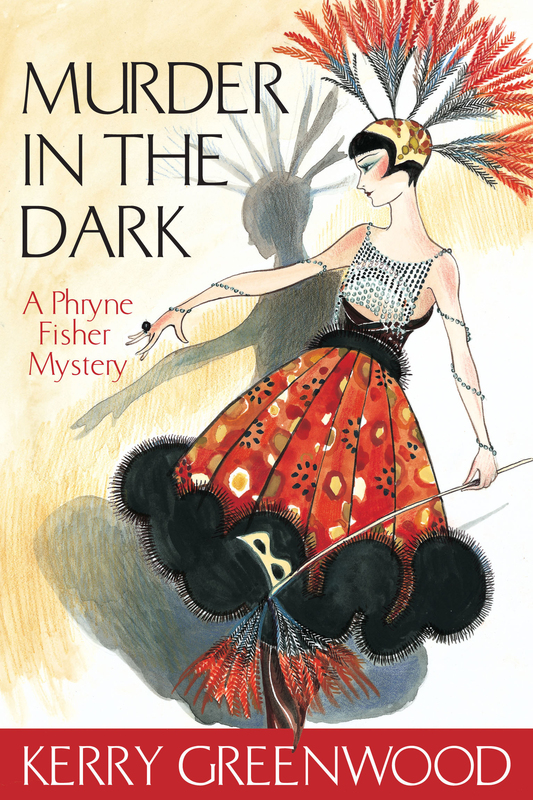 The delectable Phryne Fisher has been invited to the Last Best party of 1928. When three of the guests are kidnapped Phryne finds she must puzzle her way through the scavenger hunt clues to retrieve the hostages. Another sparkling mystery from Australia's Queen of Crime, Kerry Greenwood. It's Christmas, and Phryne has an invitation to the Last Best party of 1928, a four-day extravaganza being held at Werribee Manor house and grounds by the Golden Twins, Isabella and Gerald Templar. She knew them in Paris, where they caused a sensation. Phryne is in two minds about going when she starts receiving anonymous threats warning her against attending. She promptly decides to accept the invitation - after all, no one tells Phryne what to do. At the Manor, she is accommodated in the Iris room, and at the party meets two polo-playing women, a Goat lady (and goat), a large number of glamorous young men and a very rude child called Tarquin. The acolytes of the golden twins are smoking hashish and dreaming, and Phryne finds that the jazz is as hot as the drinks are cold and indulges in flirtations, dancing, and mint juleps. Heaven. Kerry Greenwood is the author of twenty-eight novels and the editor of two collections. Previous novels in the Phryne Fisher series are Cocaine Blues, Flying too High, Murder on the Ballarat Train, Death on the Victoria Dock, Blood and Circuses, The Green Mill Murder, Ruddy Gore, Urn Burial, Raisins and Almonds, Death Before Wicket, Away with the Fairies, Murder in Montparnasse, The Castlemaine Murders, Queen of the Flowers and Death by Water. She is also the author of several books for young adults and the Delphic Women series. When she is not writing she is an advocate in Magistrates' Court for the Legal Aid Commission. She is not married, has no children and lives with a registered Wizard.